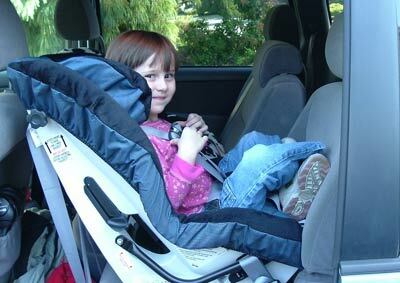 Chloe is 4 years, 3 months old, rear-facing in the Britax Wizard. This was taken shortly before Chloe was turned forward-facing because she outgrew the Wizard by weight (33 lbs). Chloe is 2 years, 7 months old, 34 inches tall and about 25 lbs. rear-facing in the Britax Marathon. 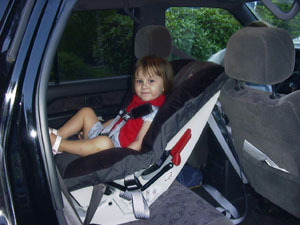 Chloe is too tall to rear-face in her other seat, an Evenflo Medallion, but still has plenty of room to rear-face in the Marathon.